Some projects never see the light. It happens periodically. This is one of my all-time favorite explorations. 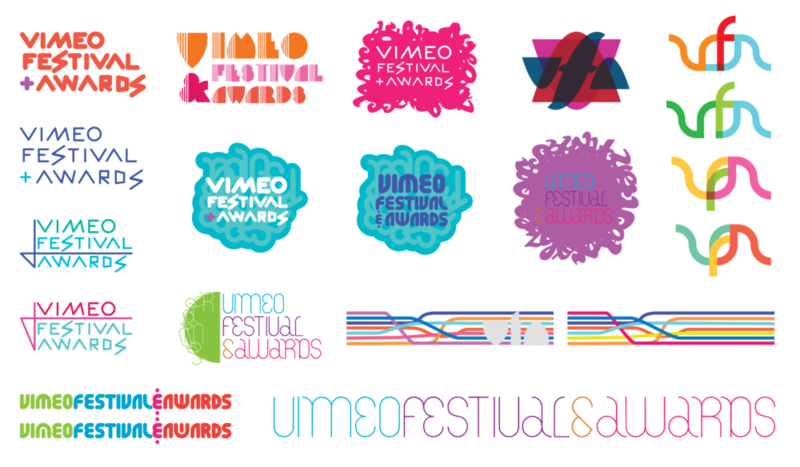 XA, The Experiential Agency solicited my fresh perspective in the development of an identity for Vimeo's premiere Festival & Awards. And, I spent several full days making logos (it was awesome) influenced by their ongoing open dialogue with Vimeo. I focused on forming marks inspired by video and connectivity with both concrete and abstract interpretations. Vimeo wanted something modern, clever, and tailored, but also time vibrant, friendly, and creative. When Vimeo decided to go with an earlier iteration, I assisted in finalizing their color palette. Ultimately, I was able to resolve an identity to make both client and agency happy.